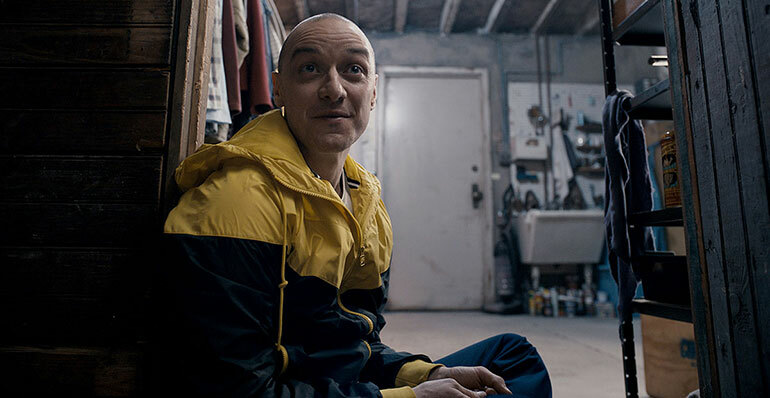 Mental health advocates are calling for an open conversation about Dissociative Identity Disorder in the wake of claims the new psychological thriller Split “stereotypes and sensationalises” those struggling with mental illness. The latest film from M Night Shyamalan, the director of Sixth Sense, follows the story of Kevin, a man with DID – formerly known as Multiple Personality Disorder – who kidnaps and terrorises three teenage girls. The film, which was released in Australia on Thursday and stars James McAvoy, is proving to be a hit at the box office. However Blue Knot Foundation, the leading national organisation supporting the Australian adults who are survivors of childhood trauma, claims the portrayal of the lead character, who has 24 different personalities, “adds to the stigma” attached with such a disorder. Blue Knot Foundation president Dr Cathy Kezelman AM told Pro Bono News Split was a “gross generalisation” of DID and its messages could be potentially damaging. “I think we have a disorder that really has been historically very misunderstood and very sensationalised,” Kezelman said. “The truth is, DID is a serious and debilitating condition, and generally surfaces as a result of continual and severe childhood trauma, including child abuse and neglect. “For the person experiencing it, self-loathing is a common feature, rather than sociopathic violence. People affected are no more likely to perpetrate violence than the general population. According to Blue Knot Foundation DID is experienced by 1 per cent to 3 per cent of the general population worldwide – approximately 225 million people. Recent research has found that symptoms do not necessarily lead to criminality. “The reality of the disorder is that most individuals who live through it suffer greatly and require the right support and treatment,” Kezelman said. Kezelman said dissociation was often a coping mechanism. “[It] actually helps children compartmentalise aspects of their experience and their memory and keeps them out of consciousness so their psyche isn’t overwhelmed,” she said. “So we need to understand that mechanism and not see it as something that we should be scared of but see it as something that we should understand and work with and help to normalise. “When I say normalise I mean, we all have parts of ourselves, but with DID those parts are far more distinct and separate from one another but that is actually terrifying quite often for the person who experiences it. “When we have a society that perpetrates myths around violence and sociopathic behaviour as occurring in the population, which are not true, that feeds right into that fear. Kezelman said filmmakers had to take responsibility for promulgating stereotypes. “Obviously they’re in this to entertain or to push the boundaries but with that comes the capacity to reach a very large number of people and you representing something which feeds right into myths and stereotypes, it just reinforces those stereotypes,” she said. Kezelman called on audiences to take the film “on face value”. “While there has been a lot more research into dissociative disorders of late, DID needs to be further understood and this film only perpetuates, rather than debunks the myths surrounding this disorder,” she said. “It is meant for entertainment purposes only and Blue Knot Foundation urges the public to take this film at face value. Blue Knot Foundation is now calling for an open conversation with the Australian community about DID to “educate and enable a greater understanding and support for those living with the disorder”. “What we need is a proper conversation in the community which educates the community about what is a significant mental health condition which… is very common but it is grossly misunderstood,” Kezelman said. “Years ago it wasn’t ok to talk about depression and we’ve seen a shift in that and we’ve seen much greater understanding and we need to see that sort of informed conversation happen around the impacts of childhood trauma. 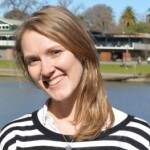 “Certainly with the Royal Commission [into Institutional Responses to Child Sexual Abuse] we’ve seen quite a change in the public discourse, so we’ve seen often daily media reporting, we’ve seen public testimony, so we are seeing some degree of understanding around the fact that childhood trauma has long term impacts and hopefully we’re starting to understand that this is not about personal weakness but about the way personal trauma affects people.